: After marrying a successful Parisian writer known commonly as Willy, Sidonie-Gabrielle Colette is transplanted from her childhood home in rural France to the intellectual and artistic splendor of Paris. Soon after, Willy convinces Colette to ghostwrite for him. She pens a semi-autobiographical novel about a witty and brazen country girl named Claudine, sparking a bestseller and a cultural sensation. 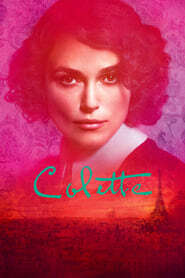 After its success, Colette and Willy become the talk of Paris and their adventures inspire additional Claudine novels.